The flyers appeared everywhere inside the Jewish settlement of Ariel, on car windshields, telephone poles, and in bus shelters. “Beware,” it read, “these are the members of the Jewish Missionary Cult. They are baptizing Jews into Christianity.” Included was a photo of Pastor David Ortiz and his address. Ortiz didn’t give it a thought. His Jewish neighbors liked him, and so did Ariel’s mayor, who found Ortiz, originally from Brooklyn, useful in recruiting funds and political support from American and German Evangelicals for this stone-clad settlement on a breezy hilltop inside Palestinian territory. Some rabbis also view the Messianic Jews’ conversion as part of a grand Evangelical scheme to fulfill Biblical prophecy (which requires the conversion of the Jews) and hasten the Messiah’s arrival. 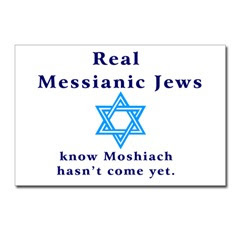 Messianic Jews observe Judaism’s rites, holidays and customs but believe in Jesus as the Messiah. But lately, the outrage among extremist orthodox Jews has spilled into violence. Even after the Ariel bombing it has continued. Last month, when the deputy mayor of Or Yehuda, a town near Tel Aviv, found out that Messianic Jews had been passing out copies of the New Testament to a community of poor Ethiopian Jews, he ordered the books to be collected and they were set alight in a bonfire. He later apologized and said the Bibles had been burned accidentally. “If somebody had done that in Europe to Jewish Torahs, you can image what sort of a reaction that would provoke here,” says Ortiz. To be fair, commentators and officials in Israel were quick to condemn the act, comparing it to the infamous book burning by Nazis. Messianic Jews living in the Negev Desert also say they are routinely harassed and attacked by yeshiva students, some inspired by Yad L’achem, a religious organization dedicated to stamping out Christian missionary activities in Israel. Random acts of anti-Christian violence have also occurred: last October in Jerusalem, a church was fire-bombed, and several days after Christmas, a German pilgrim who was returning from Bethlehem carrying a large wooden cross was attacked by a gang of ultra-orthodox youths who smashed the cross into splinters. These are isolated attacks, and Christians living in Israel say that as long as they refrain from missionary work — prohibited by the Israeli government — they are left free to worship. Religious sensitivity is always exacerbated by perceived intrusion upon one’s personal beliefs. Resentment leads to confrontation. 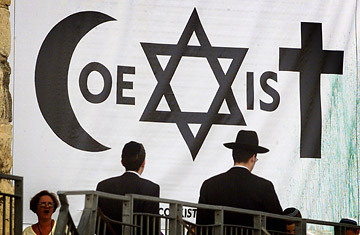 Confrontation between two or more strong faiths leads to violence. Conversion is coercion. Conversion accepts that someone else’s beliefs are inadequate. Any religion that feels duty bound, through hearsay commands, to “SAVE” another from their own religion is provocative intrusion. Conversion must be left to those interested in converting. Dissatisfaction with one’s own faith or philosophy is what generates true seekers. When true seekers discover what satisfies their soul and spirit, they are finally at peace with themselves and their maker. Trying to convert the unwilling is despicable and demeaning.